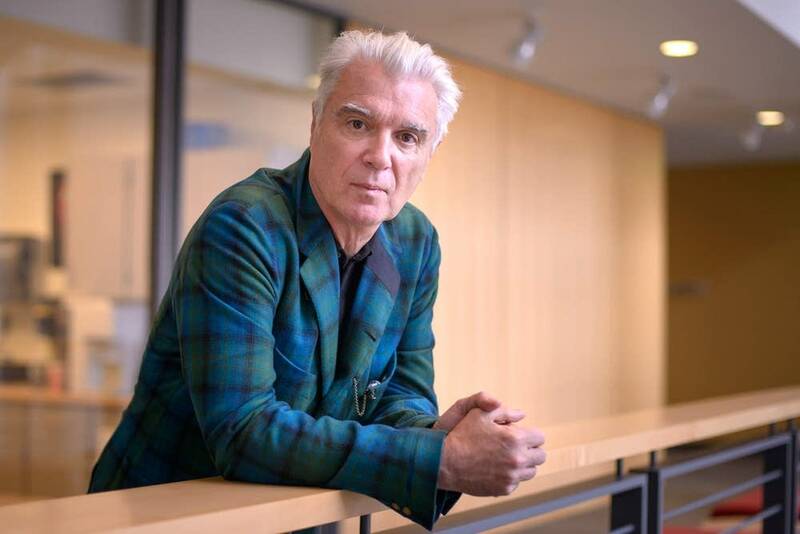 Rock star David Byrne, a cofounder of the Talking Heads and long an innovator on the world stage, is now inviting Minnesotans to a new kind of music-making experience in a downtown Minneapolis building. 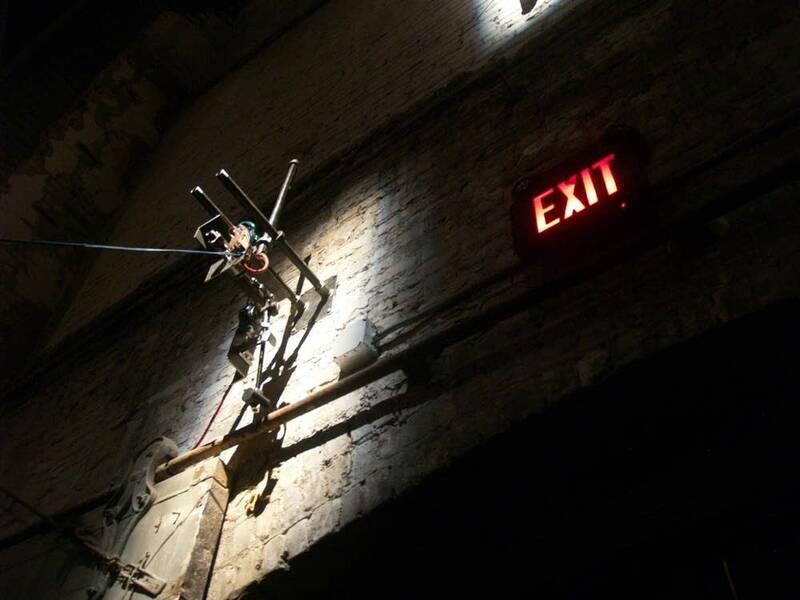 A new installation in the warehouse district, called "Playing the Building," allows visitors to pick out a tune on an instrument which uses parts of an old warehouse to make sounds. 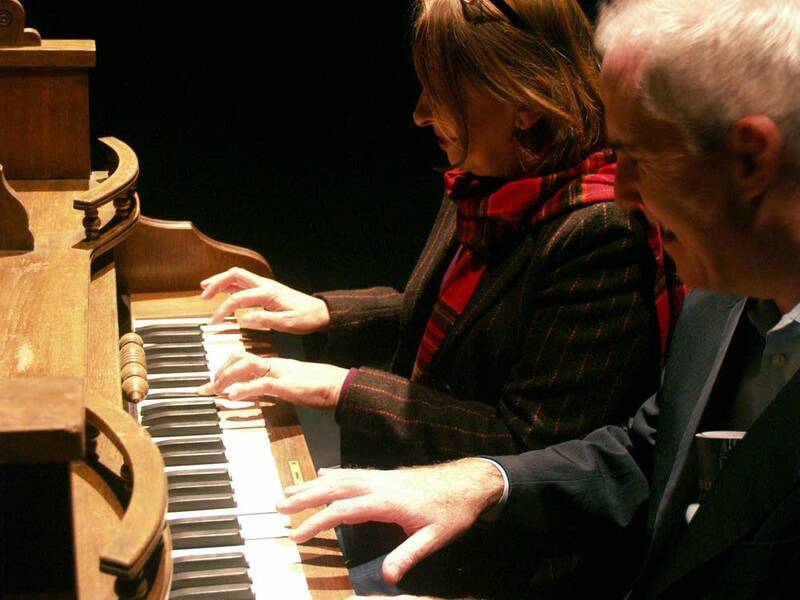 "It's an installation in which the public is invited to come and play what looks like an old keyboard in the middle of an empty shell of an old building," Byrne said. 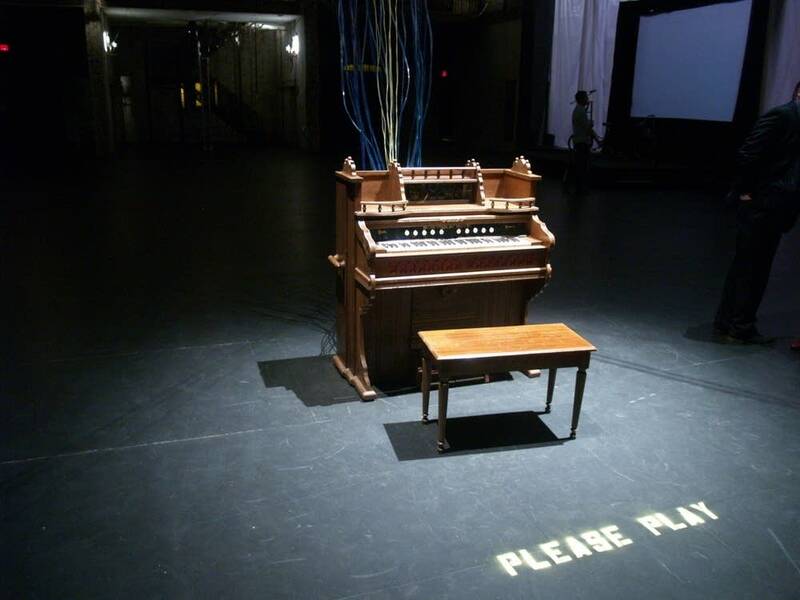 The keyboard is an old pump organ, but the keys have been converted into switches which are connected by a web of wires to machines all around the building. "They are attached to girders and beams and metal bits and plumbing and stuff like that," Byrne said, "and they cause those parts of the building to make sounds. It's not really about making incredibly beautiful sounds out of the building -- although some of it is. It's a little less clanky than you think it might be. Some of it anyway." It's not "Burning down the House" or "Once in a Lifetime," or any Talking Heads song, for that matter. But there is a mesmerizing percussive quality to the installation. Byrne calls it a great equalizer, a democratizer, because having musical skills or lacking them makes little difference. He can see how some people might be initially reluctant to play it, remembering how they gave up their piano lessons as a child. "And then they see these kids sitting down and having a great time doing it, and they sort of realize 'Oh, my piano lessons don't really apply here.' "
Byrne came up with the idea for the installation almost a decade ago for a site in Stockholm, Sweden. Since then he's mounted it in New York and London. 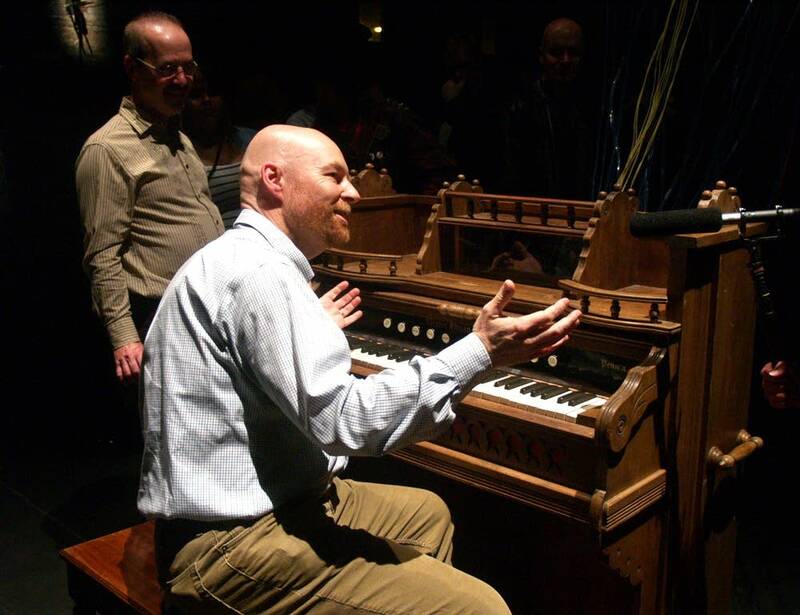 Now the organ sits in a building called Aria in downtown Minneapolis. The space is better known to many as the former home of Theater de La Jeune Lune, which was forced to give up the building four years ago as a result of financial difficulties. 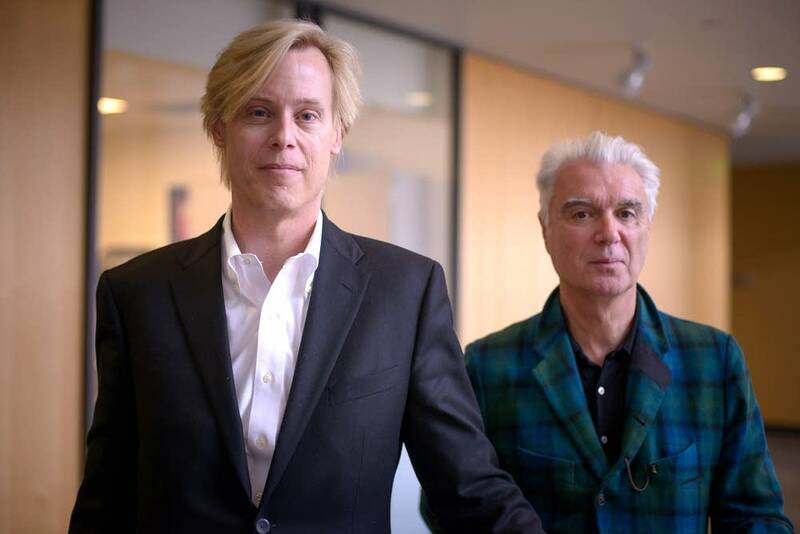 Byrne said that history could well play into the experience of playing the building. "I don't have those memories," he said. "But I can imagine that when you tell somebody here that that's where this is they immediately make those connections and they go,' Oh yes, I know that space.'" That's also the hope of Peter Remes, Aria's owner, and the person who brought the installation to Minneapolis. He hopes it will re-introduce the public to the building. "To bring them in and give themselves something that they might not otherwise get, even in a museum or in another cultural venue in the Twin Cities," said Remes. One of the pleasures of "Playing the Building" is watching people decide how they are going to play. Angie Lee of Plymouth carefully played a Bach piece she knows well. "I just played 'Canon in D.' It didn't sound like 'Canon in D.' " she laughed. "It was very fun." Others like Crystal Myslak of Minneapolis listened intently to the sound each key produced, and tried to build a composition. "It's kind of like a mystery," she said. "Because you don't know what it's going to sound like when you hit the keys. And so it's like a surprise every time and you have to just go with it, I guess. It's really fun. I like it." "Play the Building" runs every day through Dec. 4, except Thanksgiving. There will be jam sessions on Saturdays where people are encouraged to bring their own instruments. . Crystal Myslak says she can't wait to play again. "Yes, absolutely," she said. "I would sit here and play this for like two hours, but I wanted to give other people a chance." 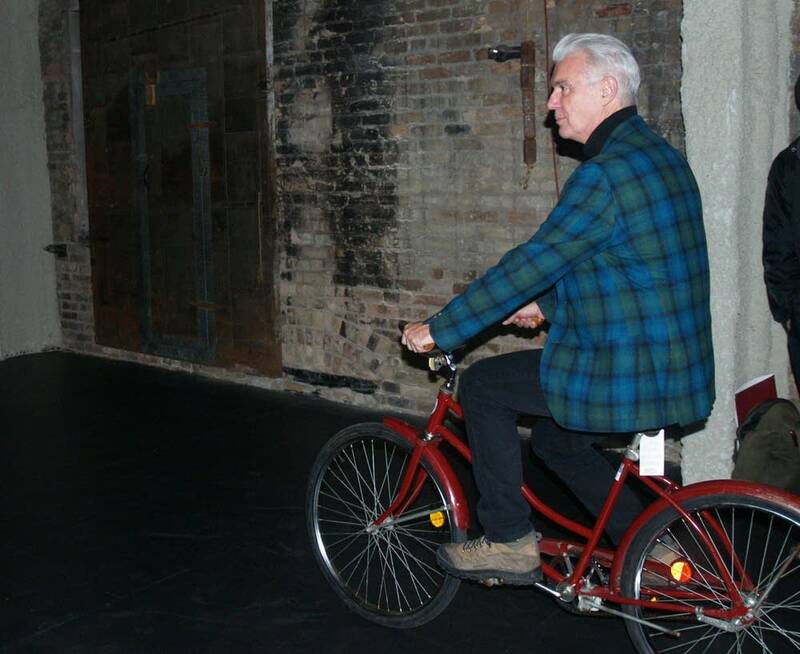 Which is the other thing David Byrne has noticed at this installation. People take turns. They play for a while and then let other people try. Nobody needs to manage it. "They do it by themselves. And that is extraordinary, too," he said.